Bonn, 1 September 2016 – Harbour Porpoises, Orcas and Common Dolphins are exposed to many threats. Bycatch, for example, kills large numbers of marine mammals in fishing nets. Ocean energy installations, leaching chemicals and submerged munitions from the two world wars impact their lives. The Baltic Harbour Porpoise is one of the most endangered marine mammals globally. With fewer than 500 individuals, it is threatened by extinction and urgent action is required. At a UN-meeting, which concludes in the Finnish capital of Helsinki today, a revised Recovery Plan for the Baltic Harbour Porpoise was adopted, based on new scientific evidence on the distribution and conservation status of this genetically distinct population. 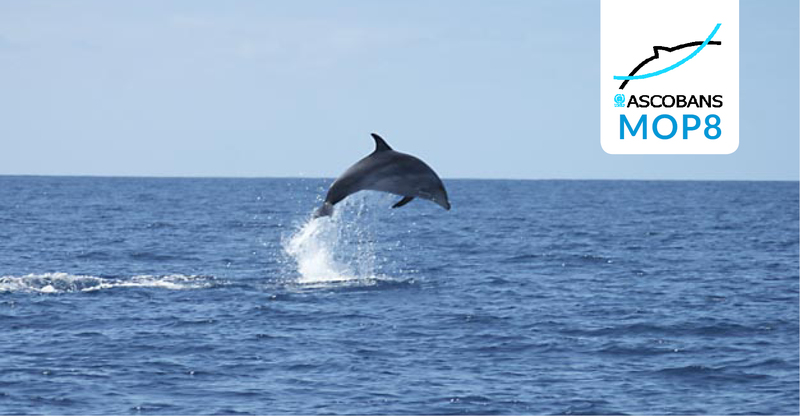 At the 8th Meeting of the Parties to the Agreement on the Conservation of Small Cetaceans in the Baltic, North East Atlantic, Irish and North Seas (ASCOBANS), governments stepped up efforts to mitigate threats to small cetaceans. ASCOBANS was concluded under the UNEP-administered Convention on the Conservation of Migratory Species of Wild Animals (CMS). The Member States to the UN-treaty adopted thirteen resolutions, addressing a wide range of pressing and emerging pressures on whales, dolphins and porpoises. The discussions emphasised that human activities impact cetaceans at the same time and that these effects are cumulative. Recommendations were made to government to manage such stressors more effectively. Bycatch remains the single largest threat to marine animals worldwide. A resolution adopted today gives fresh energy to the efforts to address this issue in the northern and western European regions, with the aim of reducing mortality as far as possible towards zero. Renewable energy production, essential for combating climate change, increasingly takes place offshore. The construction of wind farms is very noisy, injuring the hearing of cetaceans and displacing them from their habitats. New technologies, such as wave or tidal energy devices, can injure the animals through collisions. A resolution addressing this issue shows the importance of careful planning of new installations, and another one specifically addresses the need for Environmental Impact Assessments taking into account the noise generated by human activities in the marine environment. Although Polychlorinated Biphenyls (PCBs) were phased out in the European Union in the 1980s, they can still be found in the bodies of many marine animals in alarming concentrations. Such toxin loads can suppress the immune system and reproduction, and causes lactating mothers to pass on the contamination to their offspring in their milk. Further study on the effects of pollution, especially to identify hotspots of PCB pollution, is necessary. Underwater munitions, a legacy of the two world wars, remain dangerous to humans and animals alike, thus, international coordination is required to address this problem. Despite their age, submerged bombs can still explode and some contain highly toxic substances, such as mustard gas. The development of alternative methods of removal aside from detonation will alleviate the threat of injury of animals from such controlled explosions. At the meeting, the Parties to ASCOBANS have taken bold steps to address widespread hazards – for safer, quieter lives of whales, dolphins and porpoises.